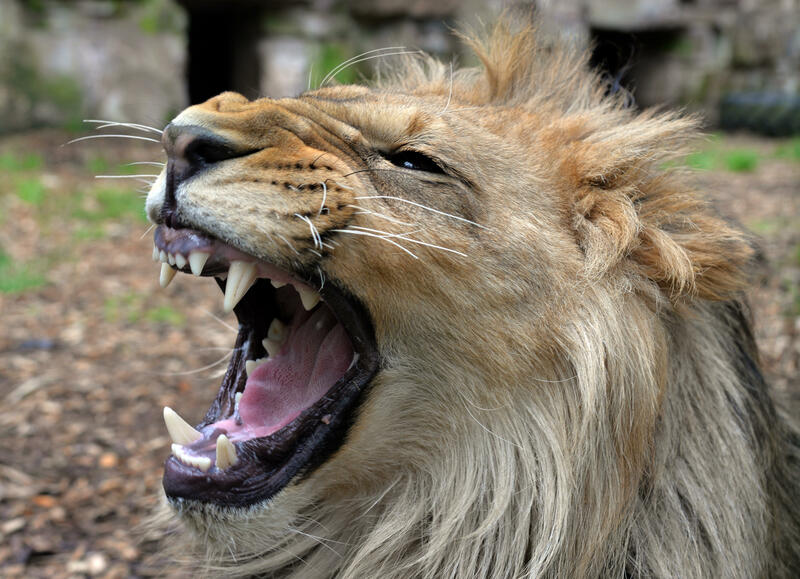 In a stunning instance of the animal kingdom taking karma into its own hands – or rather, paws – at least three poachers were mauled to death and then eaten by lions earlier this week after they illegally entered the Sibuya Game Reserve in South Africa to hunt rhinos. "They strayed into a pride of lions – it's a big pride so they didn't have too much time," Sibuya Game Reserve's owner, Nick Fox, told AFP Thursday. "We're not sure how many there were – there's not much left of them. In Africa, there are fewer than 25,000 rhinoceros left in the wild due to a boom in demand for their horns, which are sold on the black market in Asia for their supposed medicinal qualities. In fact, in South African parks and game reserves, these majestic, tank-like creatures are under daily assault. A May 2018 "60 Minutes" report revealed that they are being slaughtered at the shocking rate of three a day at the hands of poachers like the group killed in Sibuya. "I think we had a stroke of luck here that the lions got to them before they got to the rhinos," Fox told AFP. "We lost three rhino in March 2016." The poaching problem has gotten so bad that some conservationists have begun flying black rhino – the most endangered type of South African rhino – through the air, upside down, by helicopter to safer turf. Others are attempting to save the animals by removing them from the wild and, instead, farming them like cattle. And in perhaps the most heartbreaking act of conservation, park rangers in some parts of Africa are preemptively removing rhinos' horns so that poachers won't be tempted to kill the animals for them. In the case of the poachers caught by lions, it appears the circle of life played its part. But there are not always lions around to play protector as the rhino continues its struggle for survival.